Want to know why there is a heroin addiction epidemic in the US of A? Want to know why the U.S. Corporation is still in Afghanistan, after all of these years? 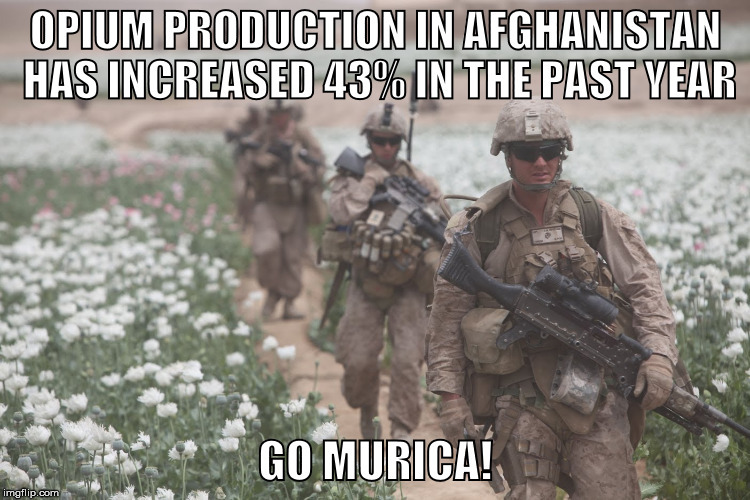 The production of opium, the main ingredient in heroin, has risen sharply and distinctly in Afghanistan ever since the U.S. occupation started in 2001. Scenes of US soldiers guarding opium (like in the picture above) in the country America has supposedly been fighting the longest war in history ever in even hit the US mainstream media. Well if you still aren’t 100% sure, the UN Office on Drugs and Crime has released a new report that opium production in the country is up 43% from last year. 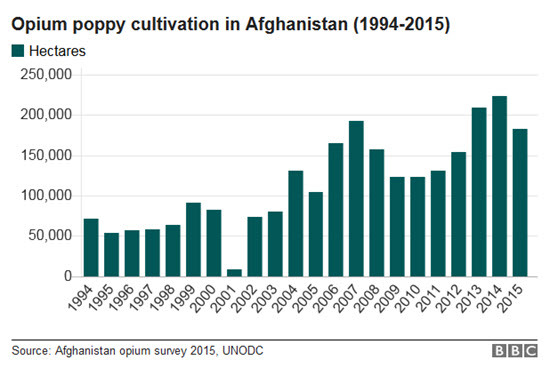 In addition, the area used to farm the opium there has increased by 201,000 hectares, or 10%. The UNODC calls it “a worrying reversal in efforts”. “Reversal”? Yeah right. Unless the real “efforts” are in growing the stuff in the first place. The US is there for drugs and money. What a racket. According to what I have read, and the info from a friend who works in the field, heroin addiction has become an epidemic in Ohio. The elite are always looking for ways to exterminate “we the people”! I think you are absolutely correct on that. We are dispensable.